Hendricks County, a rural setting on the west side of Indianapolis, was a quiet community in 1958. There were families living in the area who had children with special needs. At that time, children with developmental delays or physical impairments could not be served by the local school system in regular classes because teachers and accommodations were not available. 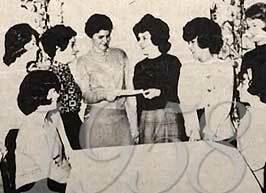 naming themselves as officers, and in September, 1959, they opened their meeting to all residents of Hendricks County. Their persistence made an impression on the local school board and before the end of the year, special classes were added to the local curriculum. By 1961, the original group had grown and incorporated themselves as the Hendricks County Association for Retarded Children (HCARC). With their growth in size, came growth in knowledge. They became aware of what was available to children in other counties and wanted the same things for Hendricks County children. HCARC approached local business organizations and asked for funds that would be used to build a small school of their own. 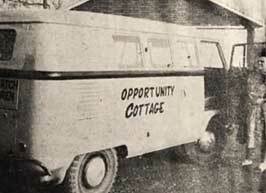 In November, 1962, a fund drive was initiated and $12,627 was raised, along with donated materials and equipment, to build Opportunity Cottage, at 405 Lincoln Street in Danville. The HCARC maintained their connections in the community and members of local clubs and civic groups volunteered to assist with the growing number of children and teenagers at Opportunity Cottage. By this time, many of the initial enrollees were now adults and the curriculum was revised to include year-round activities for adults, as well as infants and children. 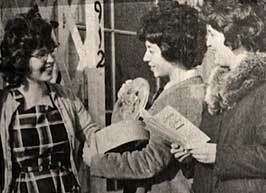 In 1968, a work services program began finding jobs for the older teens and young adults. The work provided them with skills and an income. In 1976, a generous benefactor bequeathed $30,000 to double the size of the existing school. By May 1982, Opportunity Cottage was serving 26 adults, 8 pre-school children, and 8 infants in an early stimulation program. In 1989, enrollment and the diversity of needs had increased significantly. 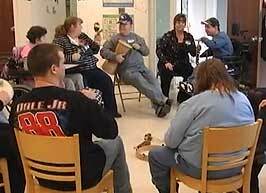 Besides the work services done by participants, a day service program had been added to assist those with more complex conditions that required closer monitoring. The enrollment in adult programs outnumbered that of children and it was decided that Adult Services would move to a new location, while Early Intervention would remain at the original building. In 1991, a new facility opened at 1001 Sycamore Lane, and the organization took on a fresh identity, becoming Sycamore Rehabilitation Services. The new facility included a double-sized kitchen, 3 large rooms for vocational training and contract work, a loading dock and several offices for staff and administrative personnel; the name was chosen to reflect the similarities between the agency and the Sycamore tree which is known to grow where other trees fail, and for its characteristic of shedding bark that reveals new growth, making it a symbol of progress and life. To this day, Sycamore Services continues to grow. Our headquarters remains at Sycamore Lane in Danville, but we now have offices throughout central Indiana, and Evansville, to serve a wider population. By hiring qualified, caring staff, Sycamore Services has developed a reputation of excellence throughout the state. Just like our founding families, we still believe that everyone should have a chance to work and live in the least restrictive environment possible. With the right support system, people with disabilities become people with jobs; people with homes and room-mates; people with responsibilities; people who lead productive, contributing lives in their communities.